1998 release. "He played Bach like he was composing it" --Murray Perahia. First publication of recital recordings of pianist Mieczyslaw Horszowski, made in Italy from 1958-1986. Although he was four foot ten inches, Horszowski scaled the Matterhorn three times and reached equal heights in his Bach playing. Some colleagues begged Horszowski to drop all other composers and focus on Bach. His teacher advised that he was meant for Mozart. 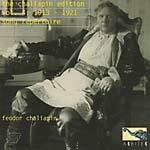 An elderly Roman musician wrote that the young pianist that his was the closest to Chopin's own playing, which he had always remembered. 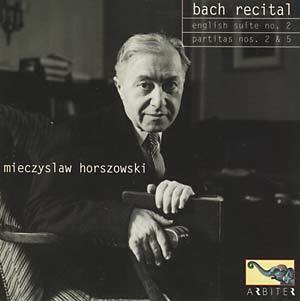 Horszowski covered the entire range of the piano's literature, and here Arbiter offers his essential Bach.